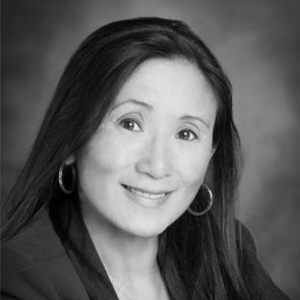 Gigi Wang serves as Venture Partner of iGlobe Partners. She serves as a Senior Advisor on Entrepreneurship and Innovation at Mobility Ventures LLC. As the Managing Partner at MG-Team, Wang leads a team which provides strategic marketing and international business development services for corporations, start-ups, and governments with clients in the United States, Europe and Asia. She served as a Senior Vice President of Marketing and Alliances and Vice President for Marketing at July Systems Inc. She headed the marketing for July Systems with an international background in sales and marketing for telecom and Internet services, both consumer and enterprise. She also launched Pacific Internet, along with holding sales and business development positions at InterNex (acquired by XO Communications) and Pacific Bell (acquired by SBC). Wang is the Chair Emeritus and Board Member MIT/Stanford Venture Lab and Board Member and Co-Chair of the LBS SIG for the Wireless Communications Alliance. She serves on the Advisory Board of the MIT/Stanford Venture Lab. Wang holds a Bachelor’s and a Master’s degrees in Mechanical Engineering from Stanford University, and a Masters in Business Administration from the Haas School of Business at UC Berkeley.